Lint Free with excellent solvency beating many competitors’ alternative brands. BLT offer the simplest method of wiping clean your stencils with fast evaporating solvents so as not to contaminate paste causing problems on print. 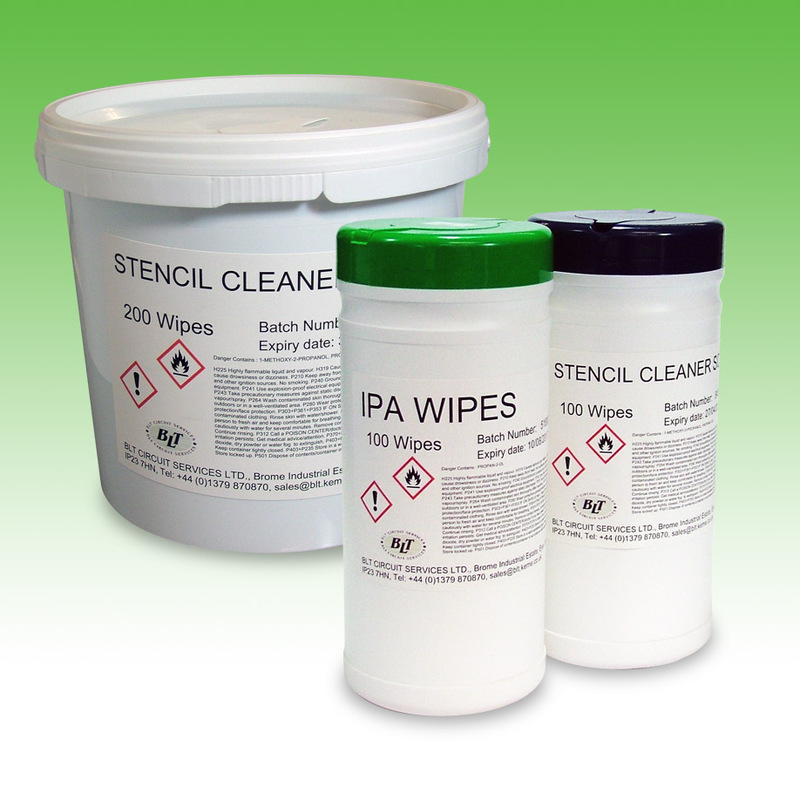 BLT has developed a range of solvent impregnated wipes for manual cleaning of stencils and circuit boards. Wipes are available impregnated with ISOPROPYL ALCOHOL or preferably for solder paste utilising the water free SCS/1 or SCS/2T. Supplied in 200mm x 200mm x 100 sheet or larger 200 Sheet tubs.